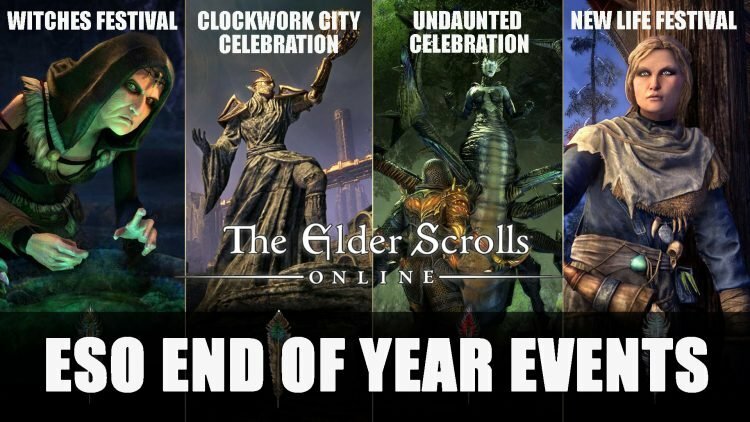 Mark your calendars as Bethesda have announced all the events taking place up until the end of the year. Read on below to find out what events await you and a way to unlock an Indrik mount! Each Holiday Event will require you to use Event Tickets which will let you buy Indrik Feathers. You will need to know when each event takes place, details for the upcoming four events in-game are below. Players must acquire Event Tickets during the Witches Festival in order to participate by acquiring Dremora Plunder Skulls. Receiving one Event Ticket along with the first Dremora Plunder Skull which you can earn daily (this will be on top of other regular rewards). Earn your tickets during the Clockwork City Celebration Event by completing the DLC zone’s daily quests. Two Event Tickets can be earned from your first daily quest you complete each day (this is on top of other regular rewards). You will need to own or have ESO Plus to access the Clockwork City DLC in order take part in the event. Completing any dungeon in Normal or Veteran will earn you Event Tickets for the Undaunted Celebration Event. Receive three tickets from the final boss of the first random dungeon you complete that day on top of any normal rewards. Queuing for your first random dungeon that day you will earn your normal XP bonus and tickets as well. To get those must have Event Tickets for the New Life Festival, players must complete the New Life Festival quests. The first quest you complete each day will grant you one Event Ticket, along with the New Life Festival Box. You can check out last year’s New Life Festival to get an idea of what’s to come. If you’ve ever wanted to summon you’re very own Indrik Mount you’re in luck as there will be a way to do this by taking part in all four end of year events. These magical creatures can be your next mount in the form of a Nascent Indrik. One Event Ticket can be earned from one activity per day. Collecting 10 Event Tickets will allow you to buy one Indrik Feather for that specific event from the merchant The Impresario. The Impresario can be found at their special booth in Daggerfall in Glenumbra, Davon’s Watch in Stonefalls and Vulkhel Guard in Auridon. Once you have collected all four feathers from each of the end of year events, you can summon your very own Nascent Indrik mount! If you missed out on some previous Event Tickets, don’t worry as you will still be able to purchase new and previous feathers. 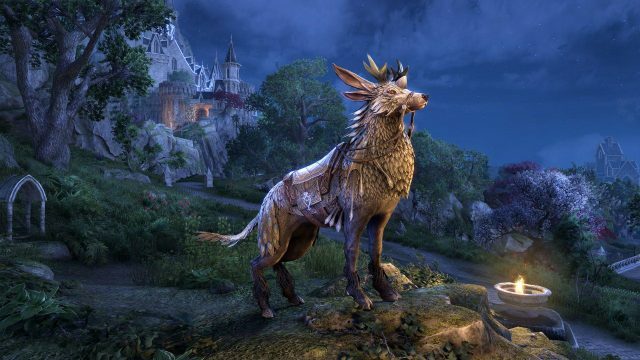 The new Nascent Indrik mount will be making it’s way to the ESO community, but Bethesda have plans to allow players to be able to evolve these magnificent beasts into more stunning creatures next year. More details will be releasing a little closer to 2019, as usual we’ll keep you posted with upcoming news. The Elder Scrolls Online is currently available to play on PC, Mac, PS4 and Xbox One. The latest DLC Murkmire will be releasing on October 22nd for PC/Mac and November 6th for PS4 and Xbox One. If you want to read more Elder Scrolls Online news find it here in ESO: Murkmire Dates Announced For All Platforms. 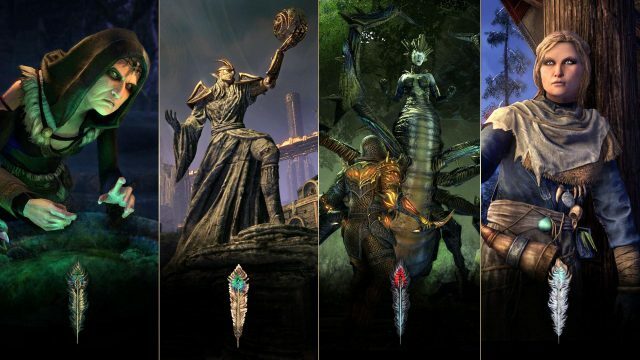 If you enjoyed reading about ESO you should check out some our guides in ESO Beginners Guide – Everything You Need To Know To Get Started and Moon Hunter: ESO Set Guide – Poisonous Potential. For all your adventurer needs check out our Elder Scrolls Online wiki.